Welcome to the Denton Dojo page. The Dojo was established in Denton, Texas, just north of Dallas, in 1996. If you are looking for traditional Japanese martial arts in the North Texas area, please come by for a visit. 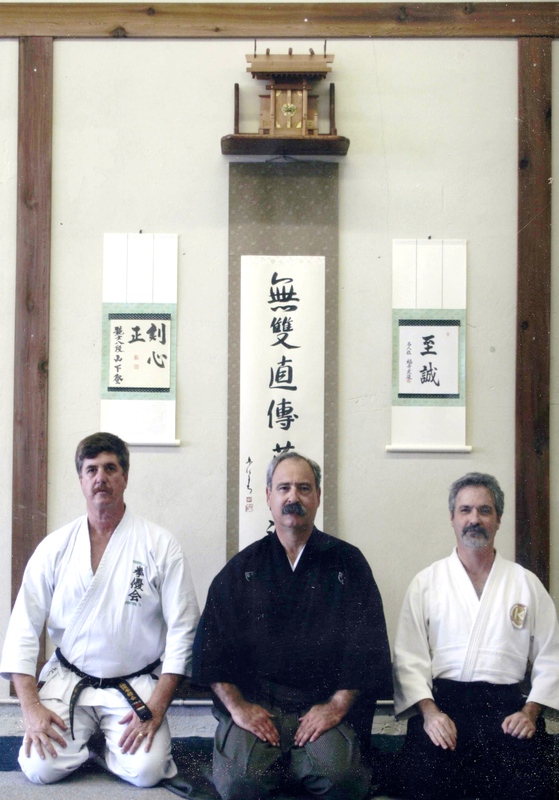 The Dojo offers five different, traditional Japanese martial arts: Muso Jikiden Eishin Ryu Iaido, Uechi Ryu Karate, Tomiki-ryu Aikido, and Shindo Muso Ryu Jodo. Each of the instructors has had training in Japan and is connected to Japanese budo organizations. This website will cover only the karate and iaido groups. If you are interested in aikido or jodo, please go to dentonaikido.com. If you are interested in focused, intensive, long-term training, with roots going back centuries in Japan, then please drop by for a visit.